Distance learning these days, is a feasible option for individuals from all walks of life who at some or the other point in their life desire to get an education. In this digital age, where the entire ecosystem is on the internet with the advancement of technology the benefits enter in every industry. 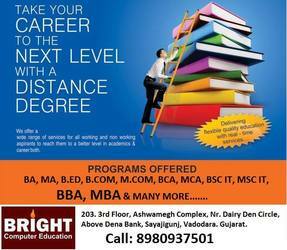 Education through distance mode has always been popular for those who want to upgrade their knowledge and skills timely.